Grain-free never tasted better! These easy and super moist Paleo Banana Blueberry Muffins will satisfy your banana blueberry muffin cravings. Made with simple and healthy ingredients. Gluten-free, dairy-free, grain-free and no refined sugar. My husband and I have been eating more Paleo to help with his migraines and autoimmune inflammation and my thyroid and adrenal issues. Paleo simply means gluten-free, grain-free, dairy-free and no refined sugar. 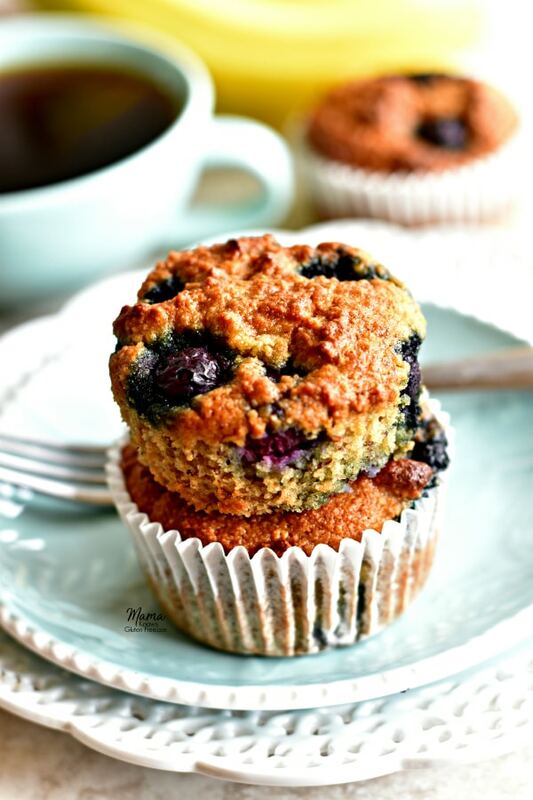 One of the most popular recipes on the blog is my easy gluten-free banana blueberry muffins. 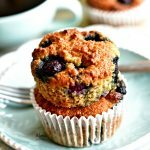 I have been baking a lot of Paleo muffins in a variety of flavor combinations and I knew that I wanted to create a Paleo version of my gluten-free banana blueberry muffins too. Paleo muffins are a favorite of my family. Seriously, I am baking Paleo muffins every other day. My husband and my kids love them and eat them so quickly that they usually don’t last but one day. They are my husband’s go to for breakfast, snacks, and dessert. I love how easy they are to make and that they are a healthier version of your traditional gluten-free muffin. 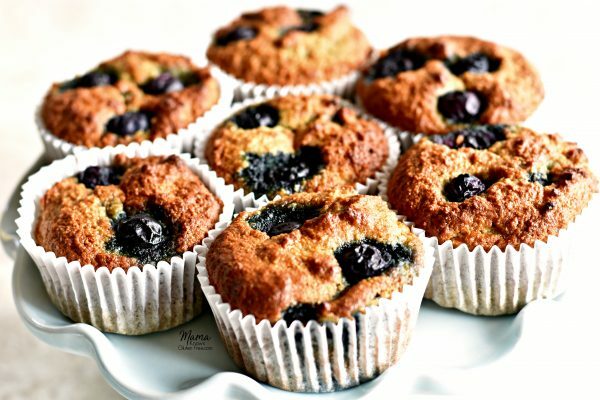 They are made with simple and healthy ingredients like almond flour, bananas, blueberries, and honey. If you are new to grain-free baking, there are a few differences to traditional gluten-free baking with rice flour. Paleo and grain-free baking is different than gluten-free baking, especially the texture. The texture of almond flour is much denser than baking with rice flour. Even though it’s different from your traditional gluten-free baking, it’s a tasty different. These Paleo banana blueberry muffins are super easy to make. A one bowl wonder, you don’t even need a mixer. 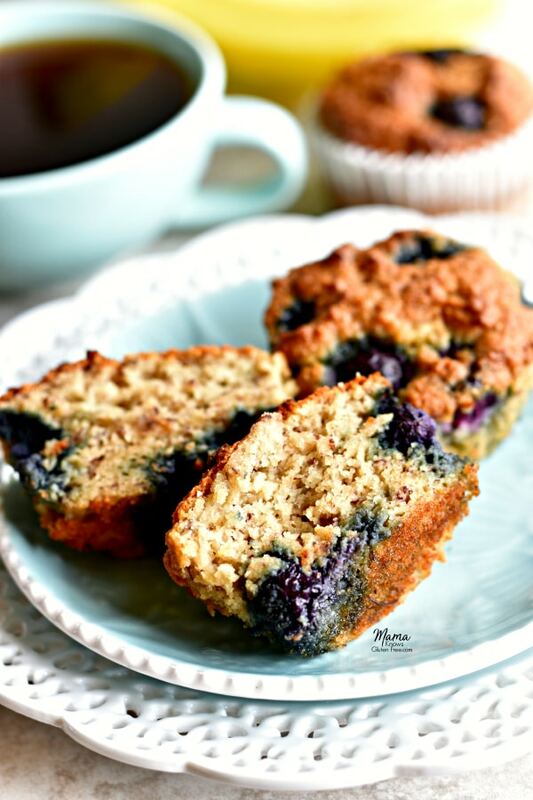 You can quickly whip up these super moist Paleo blueberry banana muffins with just a fork and a spoon. Really, it’s that easy! I hope you enjoy them as much as my family and I do. In a large bowl mash the bananas until they are nice a smooth. Add the baking soda to the bananas and stir to combine. Allow to sit for 1-2 minutes. Add eggs, pure vanilla extract, and honey to the banana mixture. Mix until fully combined. Add the almond flour, gluten-free baking powder, cinnamon and lemon peel to the banana mixture. Mix until fully combined. This is a really, really good recipe. Audrey, this is the third Paleo recipe of yours that I’ve made in the last 10 days and I have been so pleased with the outcome. These muffins are delicious. This is a keeper & I highly recommend it ! Thanks again, Audrey!! Love these muffins!!! Thank you! Though I only get 12 muffins. 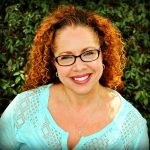 Thank you so much Andrea for the wonderful 5-star recipe review! I am so happy that you love the muffins. Thank you for catching the oversight about the number of muffins, I corrected it. Thanks again!